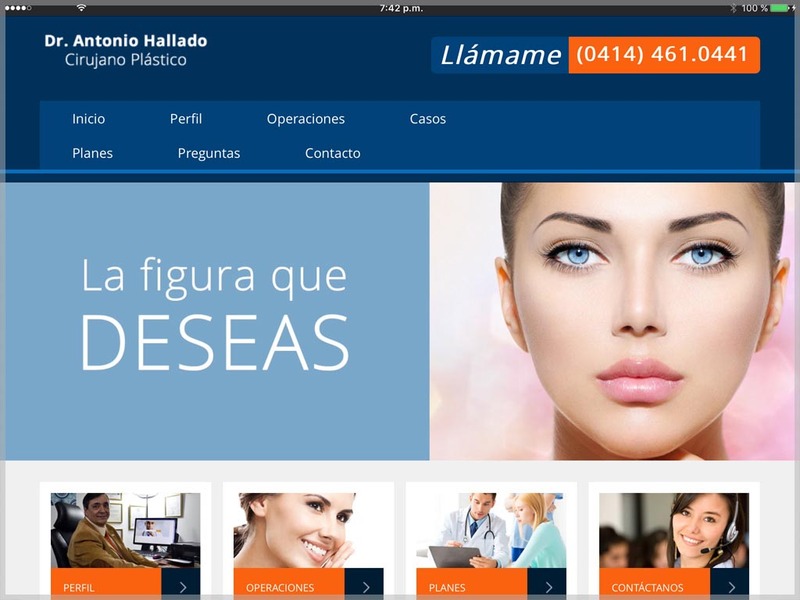 Dr. Antonio Hallado is an aesthetic plastic surgeon who practices in Valencia, Venezuela. He needed a website that would provide information about the aesthetic operations he performs. In addition, it was ideal to show success cases, to increase confidence in their abilities. His website also contains testimonials, which are textual words of some of his patients. The solution was to design a webpage using HTML5, CSS3 and PHP. Many images were also used to graphically demonstrate the results.